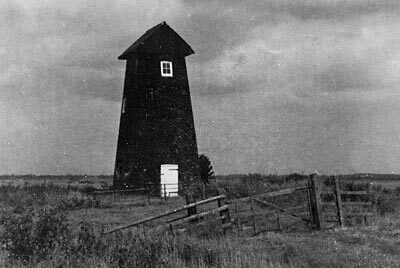 Halvergate Marshes had several drainage mills working in the 1800s. 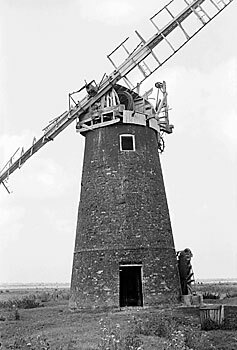 Howard's Mill was also known as South Walsham Mill. 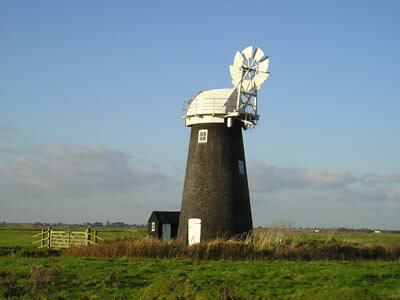 The mill had Norfolk boat shaped cap with a petticoat that held a gallery and an 8 bladed fantail. The 3 storey tarred red brick tower was 32 ft high to the curb. The scoop wheel with paddles was 14ft 6ins in diameter with iron outer hoops and a 7ft diameter centre casting inscribed Smithdale & Sons, Millwrights, Acle. 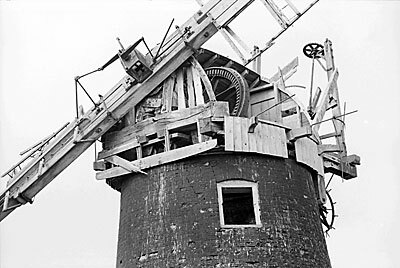 In July 1988, Arthur Smith reported that the mill was in the process of being renovated and some machinery remained inside, with a temporary boarded and ridged roof keeping the weather out. In 1989 a new cap frame and Norfolk boat shaped cap was been fitted with a gallery, petticoat and fantail, along with a 'Y' wheel, windshaft with brakewheel and canister.